Philly's Meek Mill has been on an incredible journey since I first heard him back in late 2009 and is now preparing to release his debut album next week. We got a few singles so far, but this one might be his strongest to date. 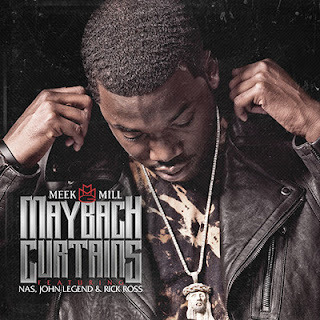 The song titled "Maybach Curtains" features Rick Ross, the legend Nas, and the perfect hook by John Legend. The song is a live instrumentation jam, sort of a different direction from the heavy beats we tend to hear from Meek, but it is a good change. Stream the song below.